Cofense has developed a new product which will soon be added to its portfolio of anti-phishing solutions for healthcare organizations and incorporated into its phishing-specific security orchestration, automation and response (SOAR) platform. The announcement comes at a time when the healthcare industry has been experiencing an uptick in phishing attacks. The past few months have seen a large number of healthcare organizations fall victims to phishing attacks that have resulted in cybercriminals gaining access to employee’s email accounts and the PHI contained therein. Perimeter security defenses can be enhanced to greatly reduce the number of malicious emails that reach employees’ inboxes, but even when multiple security solutions are deployed they will not block all phishing threats. Security awareness training is essential to reduce susceptibility to phishing attacks by conditioning employees to stop and think before clicking links in emails or opening questionable email attachments and to report suspicious emails to their security teams. However, security teams can struggle to identify real threats quickly. Employees will typically report a wide range of emails, not just malicious messages. Most organizations will see their abuse mailboxes fill up rapidly and security teams often waste valuable time sifting through messages to find the real threats. Cofense has attempted to solve the problem with the release of a SOAR platform that helps incident response teams identify and mitigate phishing attacks in progress much more rapidly. Cofense Triage allows incident response teams to rapidly assess, analyze, and remediate phishing attacks in real-time by filtering out the noise. Cofense Triage has recently been enhanced with new features that allow third-party security solutions to be integrated through its REST API to ensure an optimized, security orchestration response. 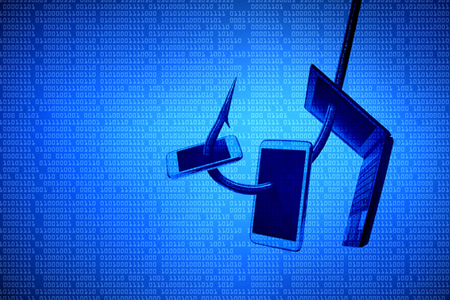 Remediating phishing threats has been made easier through automation using playbooks and workflows – sets of criteria that will automatically execute a response to mitigate an attack if certain criteria are met. Now the Leesburg, VA-based anti-phishing vendor has developed a new anti-phishing solution – Cofense Vision – which will soon be incorporated into its phishing-specific SOAR. Cofense Vision – due to be generally available in Q4 2018 – will make it easier and quicker to identify all phishing emails in a campaign and quarantine them rapidly to neutralize the threat. When a phishing email is identified, it is unlikely to be the only copy of the message in an organization’s email system. Tens or even hundreds of copies may be hiding in other inboxes, including carbon copies of the message, variations along the same theme, and totally different messages containing the same malicious payload. Cofense Vision helps incident response teams search, identify, and quarantine all phishing emails in a particular campaign, querying messages by sender, date, subject, attachment name, attachment hash, and many more criteria. When all messages have been identified, they can be quarantined with a single click, removing all malicious messages from an organization’s entire email system. This is just one of a host of new anti-phishing solutions that can be deployed to help healthcare organizations deal with the threat of phishing. As news breaks of a million-record-plus healthcare phishing attack, advanced phishing solutions are clearly needed to tackle the threat to the confidentiality, integrity, and availability of PHI.